Matthew Shipp’s New Orbit expands on his pivotal Pastoral Composure album. Even after seventeen albums, Shipp has seemingly just scratched the surface. Most interestingly, this recording explores new approaches to mixing and recording a jazz album, drawing heavily from the realm of contemporary (independent) rock. Though rooted in tradition, the quartet freely reinterprets existing technique to unfold fresh new arrangements. Shipp’s style is the new thing: continually propelled rhythms on the piano; flowing melodic elements that obscure any and all boundaries of form; and spatial rather than computational conception. There is ample time for solos. Everyone takes the opportunity for extended, unaccompanied passages. The individual flavors then blend seamlessly back into the group dynamic. Often the effect is a droning meditation. Natural elements are set against celestial backdrops. The result is a cohesive sound. While abstract, the structures are purposeful and drive towards a fuzzy destination in the distance. Wadada Leo Smith on trumpet is a perfect fit with the group. Long-time associate William Parker delivers a stellar performance on bass, as expected. The dynamic duo of Shipp/Parker is the modern equivalent of Harris/McCann, Armstrong/Hines, Ellington/Blanton, or Montgomery/Smith. Parker balances pizzicato (plucked strings) and arco (with a bow) to make full use of his talents. The bass has a natural sound, but one constantly pushed towards expressive limits. Drummer Gerald Cleaver turns in one of his finest performances to date. The group has reached unseen heights of individual and collective performance. Scientific song titles suggest a high technology milieu — implying that jazz has not commented sufficiently on technology in the past. Each track elicits a new response. “Chi” is guided by rhythms. “New Orbit” is pensive and reflective. “Paradox X” is mysterious, with dissonances filling huge amounts of space. William Parker shines on “Orbit 3.” Gerald Cleaver pulls “U Feature” together by dropping in abstract bass drum hits. Wadada Leo Smith sets off “Maze Hint” with an intense trumpet solo that retroactively changes the album to that point. 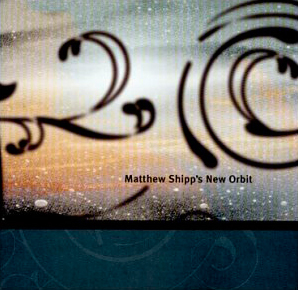 Matthew Shipp’s New Orbit is the state of music; Matthew Shipp and friends reaffirm their status as jazz innovators. Hunter S. Thompson has said Muhammad Ali may not have been perfect, but came as close as we are likely to see in this life. There is no more fitting a description for this group. They may be carbon-based life forms, but the crucible of this musical partnership has transformed this bunch of atoms to diamonds.